In these first months of the year many teams in many firms have gone or are going through annual interviews and goals setting for the year 2015. Last week I read an interesting Schumpeter column in The Economist, “The quantified serf: Management by goal-setting is making a comeback, its flaws supposedly fixed”. The article mainly covered two issues: one was the newest trend in goal-setting, “quantified work”, as promoted by BetterWorks, whereby employees collaborate in setting objectives for peers. This apparently improves performance and transparency. The article cautions, however, that rewards should not be linked to these goals and that an attainment of 60-70% of goals set in this way should be viewed as normal rather than failure. The second issue covered by the article was side-effects of goal-setting. The article introduced the paper “Goals Gone Wild: The Systematic Side Effects of Over-Prescribing Goal Setting” [PDF, 500KB] by Lisa D. Ordóñez, Maurice E. Schweitzer, Adam D. Galinsky and Max H. Bazerman. In this post I wanted to comment on this paper. When goals are too specific… people overlook other important features of a task. As an example the authors provide the case of the Ford Pinto, about which I wrote a post in the blog long ago. When there are too many goals… individuals are prone to concentrate on only one goal. When the time horizon is inappropriate… may harm the organization in the long run. Think of quarterly reports and companies trying to beat analysts’ estimates or their own guidance. That is why Coca Cola ceased to provide quarterly guidance back in 2002. When goals are too challenging… they may shift risk attitudes, promote unethical behaviour. An example given describes how Sears’ automotive unit set a target of fee to be charged to customers. This triggered that employees started charging for unnecessary repairs to customers to meet the goals! When goals are complex, specific, challenging… they may inhibit learning. Goals may create a culture of competition instead of cooperation. Goal setting increases extrinsic motivation… and thus can harm intrinsic motivation. Linked to the message given in the conclusion (“experts need to conceptualize goal setting as a prescription strength medication that requires careful dosing, consideration of harmful side effects, and close supervision”), the authors also propose the following warning signal and a check list to be used when setting goals. 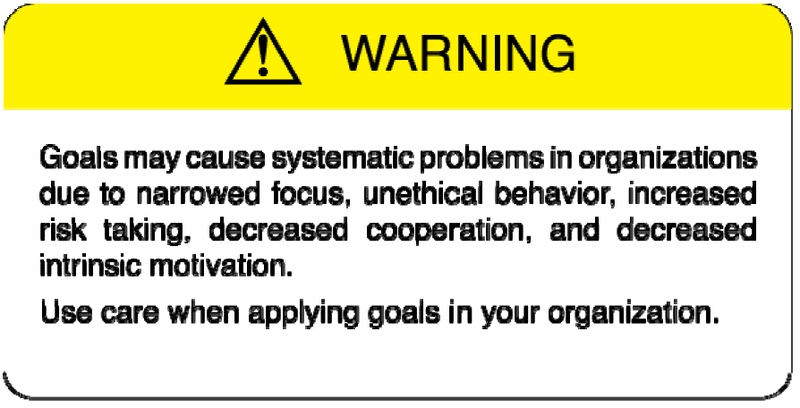 Goals Gone Wild warning signal. 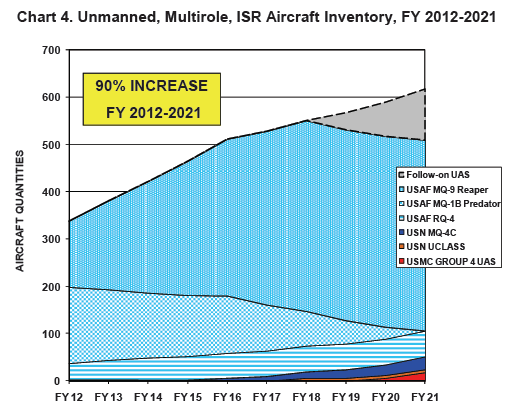 Unammned aerial vehicles in DoD inventory. The civilian use of drones has been lagging behind these years mainly due to its integration in the air space. To that respect, the Federal Aviation Administration (FAA) announced last month an initial plan for integrating unmanned aircraft into U.S. airspace by September 2015. There are plenty of possible civilian applications that have been raised; from monitoring crops, to pipelines, oil rigs, forest fires, photography… to the dispatching of personal packages being announced recently by Amazon (Prime Air). The Economist issue of this week includes an article, “Game of drones“, which estimates that by 2017 there could be up to 10,000 drones flying in the USA and by 2025 the civilian drone market could have a size of up to 82bn$ per year, according to the Association for Unmanned Vehicle Systems International (AUVSI). In this general picture Europe has been left behind. The bridging of that gap would not only ensure the security of supply of such drones for Europe but would help develop critical technologies to maintain the industrial base, its growth and employment; apart from the fact of being many of such technologies of dual use (as recognised in the EU Council conclusions) they would help Europe to access the market for civilian use of drones. For most of their history, boards have been largely ceremonial institutions: friends of the boss who meet every few months to rubber-stamp his decisions and have a good lunch. Critics have compared directors to “parsley on fish”, decorative but ineffectual; or honorary colonels, “ornamental in parade but fairly useless in battle”. Ralph Nader called them “cuckolds” who are always the last to know when managers have erred. The first is that boards should focus on providing companies with strategic advice. This sort of common sense is often in short supply in the ego-driven world of boards. Boardrooms contain too many people with different priorities: corporate veterans who give lectures on how they would have handled things; egomaniacs who like to show how much they know about everything; hobby-horse jockeys who mount the same steed regardless of the race; captives of compliance who are obsessed with box-ticking. The authors say that in their experience perhaps half of the Fortune 500 companies have one or two directors they would regard as “dysfunctional”. “In my view a board of directors of a huge financial institution is derelict if it does not insist that its CEO bear full responsibility for risk control. If he’s incapable of handling that job, he should look for other employment. And if he fails at it – with the government thereupon required to step in with funds or guarantees – the financial consequences for him and his board should be severe. “In evaluating a stock-for-stock offer, shareholders of the target company quite understandably focus on the market price of the acquirer’s shares that are to be given them. But they also expect the transaction to deliver them the intrinsic value of their own shares – the ones they are giving up. If shares of a prospective acquirer are selling below their intrinsic value, it’s impossible for that buyer to make a sensible deal in an all-stock deal. You simply can’t exchange an undervalued stock for a fully-valued one without hurting your shareholders. Imagine, if you will, Company A and Company B, of equal size and both with businesses intrinsically worth $100 per share. Both of their stocks, however, sell for $80 per share. The CEO of A, long on confidence and short on smarts, offers 1 1⁄4 shares of A for each share of B, correctly telling his directors that B is worth $100 per share. He will neglect to explain, though, that what he is giving will cost his shareholders $125 in intrinsic value. If the directors are mathematically challenged as well, and a deal is therefore completed, the shareholders of B will end up owning 55.6% of A & B’s combined assets and A’s shareholders will own 44.4%. Not everyone at A, it should be noted, is a loser from this nonsensical transaction. Its CEO now runs a company twice as large as his original domain, in a world where size tends to correlate with both prestige and compensation. “I have been in dozens of board meetings in which acquisitions have been deliberated, often with the directors being instructed by high-priced investment bankers (are there any other kind?). Invariably, the bankers give the board a detailed assessment of the value of the company being purchased, with emphasis on why it is worth far more than its market price. In more than fifty years of board memberships, however, never have I heard the investment bankers (or management!) discuss the true value of what is being given. When a deal involved the issuance of the acquirer’s stock, they simply used market value to measure the cost. They did this even though they would have argued that the acquirer’s stock price was woefully inadequate – absolutely no indicator of its real value – had a takeover bid for the acquirer instead been the subject up for discussion. After these paragraphs harsh on CEOs and directors, let me finish with two references to posts I wrote some time ago: “Is talent really worth it?“, a review of a book on CEOs pay, and “Buffett on shares buy back by companies“, excerpt from 1980 letter. At the beginning of the year I set as a personal objective to read at least 15 books. This will be a low number for some of you and a high one for others. To me it looked challenging but achievable… though, I did not achieve it. I completed 10 books and started other 4 which I have not yet finished (they’ll be included in the next year reading list). “This time is different” (by C. Reinhart and K. Rogoff) (++): very interesting book offering a comprehensive book to economic and financial crises since 8 centuries ago. The book is full of graphics, statistics, example, anecdotes… I already wrote three posts about it: “The Republic of Poyais“, “The march toward fiat money” and “¿Cómo le ha ido a España en esta crisis?“. “Le Petit Prince” (by Antoine de Saint-Exupéry) (++): even if narrated as a children’s book, it contains several idealistic messages, fine criticisms of how adults behave, etc. The teachings are mainly transmitted through conversations between a child and the prince and encounters with other characters… I wrote a post about it “Le Petit Prince“. “The consequences of the peace” (by John M. Keynes) (+++): the book was written at the time of the Versailles Conference after the World War I, which he attended as a delegate from the British Treasury. In the book, Keynes explained how the disaster in the making was being produced, due to lack of communication between representatives from USA, UK, France and Italy, and the intention from Clemenceau of taking as much as possible from Germany. Keynes makes a series of estimates of Germany’s production capabilities and that of the regions being taken from it and comparing them with the pretensions that were being included in the negotiations of the treaty. In the book, he warns well in advance the economic and social disaster that the treaty is going to send Germany into. (I have not yet written a specific review of the book, but since I had underlined several passages I don’t discard writing it). “Le bal des ambitions” (by Véronique Guillermard and Yann le Galès) (+): the book tells the story behind the creation of EADS and its first years. Very much like in a thriller, it gives account about the characters involved, the battles for power, etc. I wrote a post about it “Le Bal des ambitions“. “Desolé, nous avons raté la piste” (by Stephan Orth and Antje Blinda) (+): The book consists of a series of awkward situations in a flight described by passengers, pilots and cabin crew, mainly miscommunications between the crew and passengers or funny messages received from the cockpit. The book originated after a collection of the anecdotes posted by readers of the online version of Der Spiegel. . See the review I wrote about it “Sorry, I missed the runway“. “Poor Charlie’s Almanack: The Wit and Wisdom of Charles T. Munger” (by Charlie Munger, compiled by Peter D. Kaufman) (+++): the book is a compilation of Munger’s speeches, quotes, interviews, articles, letters, etc. Some of his speeches are available in Youtube (e.g. this one given for the commencement of USC Law in 2007). One of the main takeaways is the use of several mental models to analyze situations we live in our lives (instead of being stalled in the few models which we are more comfortable with). Another recurring topic is the lack of training in psychology that we get (or even his criticism of how psychology is taught in faculties). I haven’t written a post about the book, but I think I should, if only to share more of his wit and wisdom with you. “The Peter Principle: Why Things Go Wrong” (by Laurence J. Peter) (+++): the book is a hilarious account of situations that arise in companies and institutions of why and how people are promoted, cornered, etc., or in his words is a treatise on hierarchology. The name of the book comes from the Peter Principle which says: “In a hierarchy, every employee tends to rise to his level of incompetence”. I already wrote about it here. “2010 Odyssey Two” (by Arthur C. Clarke) (++): the book is a sequel to the famous “2001: A Space Odyssey“, and there is a movie as about this book. The story starts with doctor Heywood Lloyd travelling in a combined Soviet-American mission to Jupiter in order to find the spaceship Discovery One from the previous mission and what went wrong with it… I won’t tell more of the plot to avoid spoiling it for someone. I would say that I liked more this book (and movie) than the first one. “The Litigators” (by John Grisham) (++): this novel is very much like most of John Grisham. In this one the plot is about a star young lawyer graduated from Harvard Law School who cannot stand the pressure from a big firm and quits it to join a mediocre small firm with two partners who chase victims of small accidents to help them get some compensation from insurance companies, with the hope of reaching the big class action which could make the rich. “Soccernomics” (by Simon Kuper and Stefan Szymanski) (+++): the authors use economics’ techniques, plenty of data, statistics, citing several papers, studies, etc., in order to bring up uncovered issues about football (such as transfer market, what makes some nations more successful in football…) or refocus the attention about other ones. See the review I wrote about it. I also completed two other partial objectives: to read at least 2 books in French and 2 about politics/economy. And as always, on the learning side from reading there is Twitter (a source of information or distraction? ), the subscriptions delivered to home of the weekly The Economist and the two monthly magazines Scientific American and Toastmasters. I have written sometimes in the blog about crowdfunding. How I started funding loans for small entrepreneurs in developing countries via Kiva, or how I invested a small amount in the movie project “El Cosmonauta”, and more generally I have shared yearly contributions to other non-profits. I heard for the first time about crowdfunding science some time ago, but didn’t keep track of it. Thus, when I read the last week in The Economist an article featuring some platforms where to crowdfund science I decided to take a look at those and to post about it in the blog. The purpose of the post is twofold: raise awareness about an initiative that I support (even if not yet with money) and to let myself keep track of them from now on. I will let you know the moment I opt to engage with a particular scientific research :-). 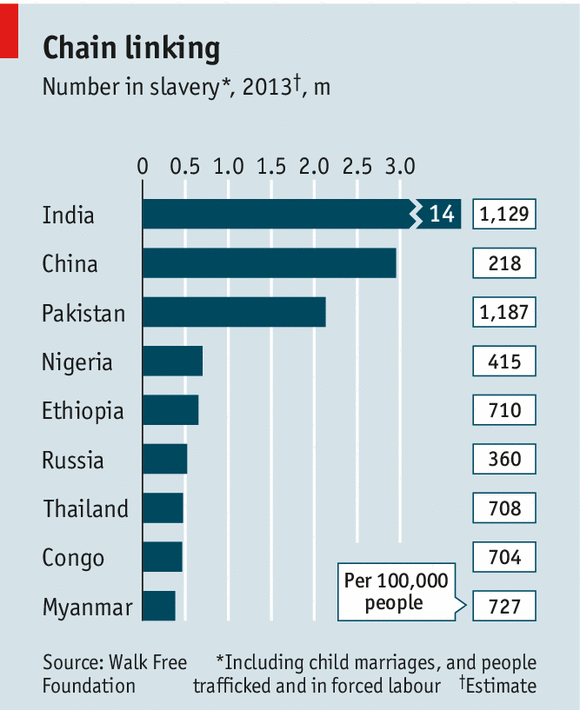 Note: I leave aside the debate of whether budget for science should be ensured by the states. Let me share with you a brief recap of my 2011 (as I already did last year). If I then characterized 2010 as a learning year, I would say 2011 was a year on the run. Last kilometre at the ultramarathon "100km de Millau". I ran over 170 days along the year, covering over 1,800 kilometres. 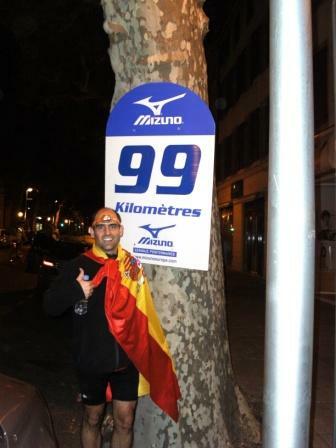 I took part in 11 popular races, including 6 of 10km, 2 half marathons, 1 marathon (42km) and 1 ultramarathon (100km). More races and more kilometres than ever before. Learning. After taking some classes in Madrid, I continued studying French and now I feel more confident when facing shop attendants :-). I had to learn and continue to learn lots of new things every day at the new job where I landed about a year ago. I still enjoy as learning moments the print weekly issues of The Economist or the monthly issues of Scientific American. I delivered the necessary speeches to become ACB within Toastmasters (though lately I’ve missed more meetings than I should). Finally, I read a dozen books along the year (a bit less than in previous years, though some in the new eReader! ), being the ones I liked the most the following: first, second and third. Investing & helping others. I set myself a high objective of saving and investing: I overachieved it by around 50%. I once mentioned it in Twitter: the best thing behind investing is the discipline of saving that is behind it. I not only dedicated a percentage of personal income to savings but as I announced in a post at the beginning of 2010, I directed a percentage to different charities. I initially set it out to be 0.7% of my income, but after raising some funds and contributing others to charities related to the races in which I am taking part, in the end this percentage has been well over 1% in 2011. Travelling. We together visited Montreal, Ottawa, DC, Chicago, Omaha, and several places in the south of France and throughout Spain. The moment that I liked the most was attending the Berkshire Hathaway annual shareholders meeting, no doubt. Javi 2.0. I continued to often write in this blog with some remarkable posts. I admit that my twitter account is one of my biggest sources of information / distraction. Sports. Apart from the running, I recently re-started playing paddle with colleagues, became a kind of fan of the rugby local team, Stade Toulousain, had to subscribe to Canal + not to miss any of Real Madrid matches while living abroad. my sister Beatriz started working as an intern; my brother Jaime continued to enjoy his job in Airbus and moved to a new apartment; my mother Fidela continued to take several courses (and to give wonderful massages) and my father Juan Bautista finally and happily retired (after working for 43 years!). Luca completed all the requirements to become a full-fledged lawyer, winning some court cases in the process. To close the year, I started taking flight lessons, pursuing another childhood dream. This will allow me to continue learning and experiencing new things! Now it’s time to update the objectives setting for 2012. This year the exercise will be easier as I already have the methodology and the habit. If the objectives are well chosen and challenging enough, next year’s account will be even shinier. I wish you the same: a shinier 2012, enjoy it!